Here are some new graphics for you to share with your friends and loved ones! Today on the blog, we have five reasons to avoid alcohol as a teenager. These reasons are related to health and social relationships. We hope you’ll take them to heart and use them as inspiration to maintain sobriety as a teen! Alcohol can damage your growing brain and affect your mind later in life. Alcohol abuse can lead to violent behavior. Alcohol abuse can lead to risky sexual behaviors. 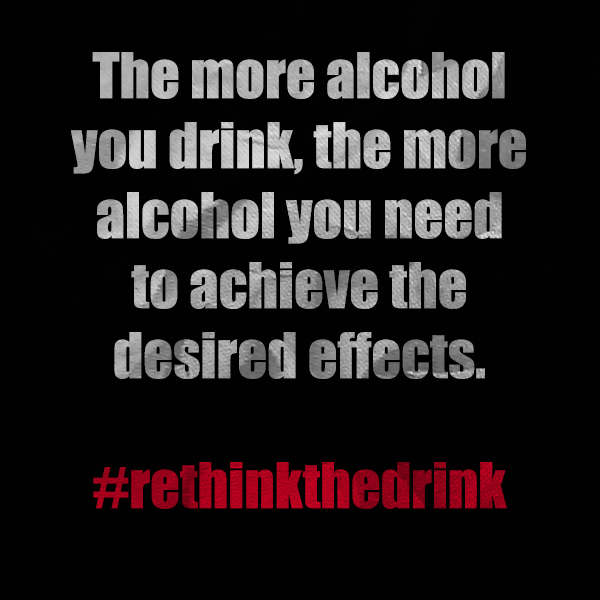 Repeated alcohol abuse can lead to alcohol dependency. Sobriety takes a great deal of personal fortitude and can bolster your self-esteem. While gathering news articles for our Facebook posts for the week, I came across a wonderful article about sobriety. I thought I’d share the link for those who are looking for inspiration on their paths of sobriety. Read it. Share it. Take inspiration from it! 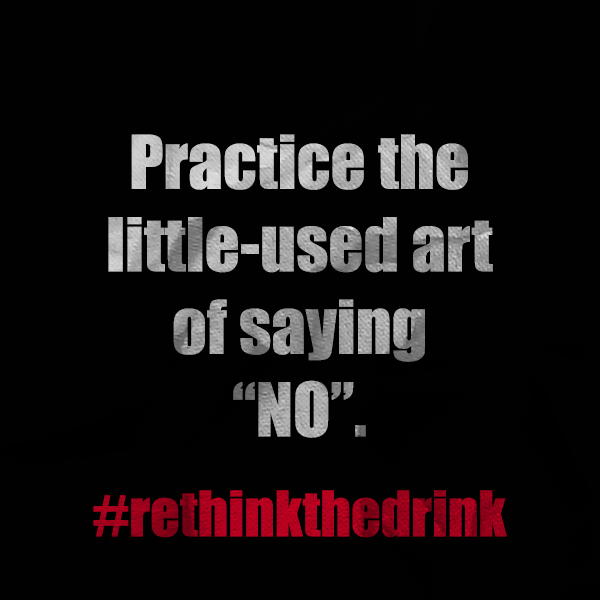 Check out the latest graphics from Rethink the Drink! 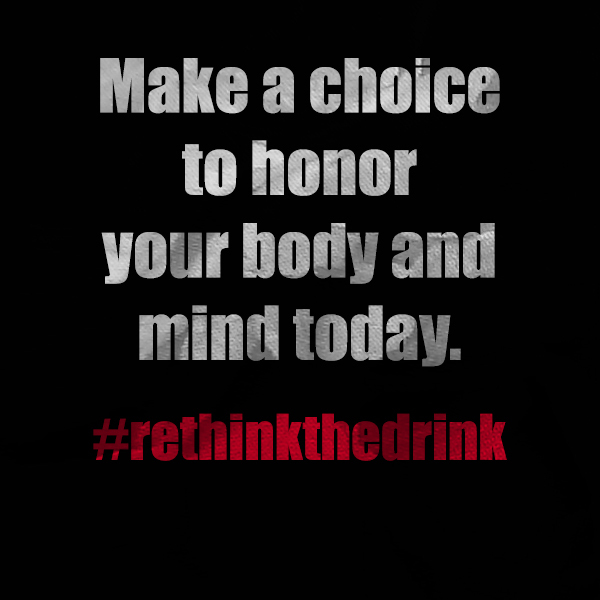 Feel free to share these to help inspire yourself and your friends to live wisely and to rethink the drink! It can be difficult to remain sober in the midst of a group of friends who love to party with alcohol. It can be difficult to remain sober after struggling for a long time with alcoholism. Today on the blog, we’d love to encourage you in your commitment to sobriety! Here are 5 tips for keeping confident while staying sober. 1. Your sobriety is no one’s business but yours. // If someone gives you a hard time at a party or asks you why you choose to stay sober, politely reply that it is none of their business. 2. Staying sober is a decision made out of strength, not weakness. // It’s easy to go along with the crowd and to keep drinking, but staying sober takes strength and the fact that you’ve made that choice for yourself is admirable. 3. Don’t make a big deal of it. // Don’t feel like you have to tell everyone about your journey to sobriety. If you want to talk about it, then do, but if you’d rather not, just don’t mention it. 4. Find mocktails you love so that you can still have a fun drink at parties. // Just because you don’t drink doesn’t mean you can’t enjoy a delicious party beverage. Find your favorite mocktail and make it your go-too drink on your next night out. 5. Keep yourself active and healthy. // The more active you are and the more nutritious your diet, the better you will feel overall. If you feel good, chances are you won’t feel the temptation to drink quite as much. Devote yourself to a healthy lifestyle to keep yourself mentally, emotionally, and physically healthy. We hope these tips are helpful for you! 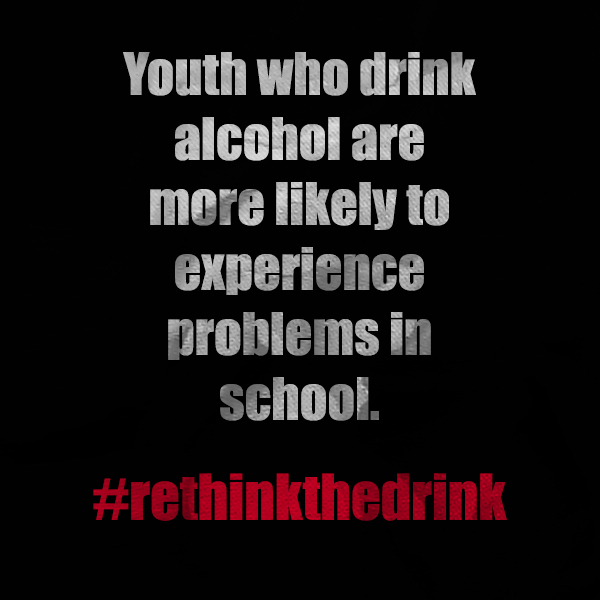 Great Website with Alcohol Abuse Prevention Resources! I stumbled across an excellent website dedicated to hosting links to help those who are interested in alcohol abuse prevention, recovery, and alcohol facts. Check it out and share the links with your friends and loved ones! I’ll never forget the time I was in high school visiting a friend’s house. Her mother was at home and allowing the teens present to drink in the house. It was one of those occasions of, “I’d rather them drink in the house than outside where they’d be driving or getting themselves into trouble.” I was deeply disturbed. All I could think about was the fact that if even one teenager managed to escape her notice and drive home, that person could have gotten into an accident and killed or killed someone else. It bothers me to this day and I knew even in high school that I would never offer alcohol to minors. There are just too many variables to control — not to mention the fact that alcohol can damage growing brains and bodies. Thankfully that night no one was hurt, but it could easily have happened. I urge you today, DO NOT SERVE ALCOHOL TO MINORS. Be a good, responsible, wise role model.